Hello! I'm back to share a few more of my projects with you for the January Papertrey Ink Release! The new products you are seeing here will be available in the store at Papertrey Ink on January15th at 10:00 EST. For this card I used the Medallion Trio dies and the inlaid technique. I really love these stamps and dies, and plan to have some fun with them when I have more time to spend. 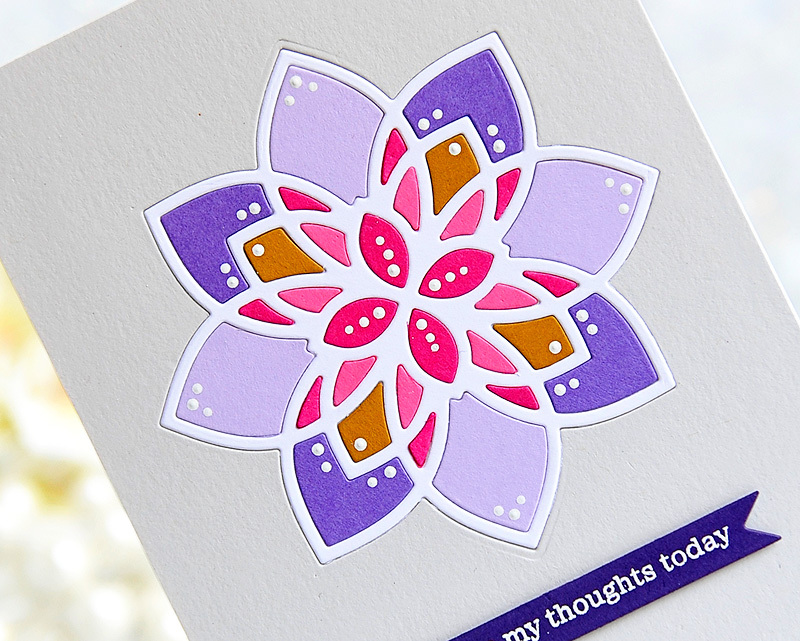 I am fascinated with radial symmetry and love to play around with different designs! I cut the main outline out of white card stock and inlaid the different colors inside. The background is Soft Stone. I also added some white dots with acrylic paint when I was done. 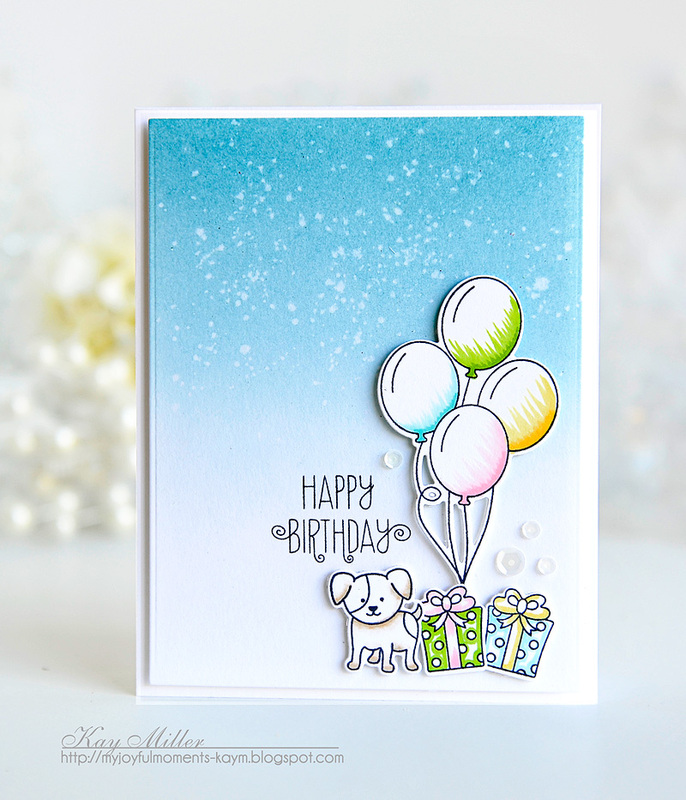 The sentiment was embossed with white embossing powder on Royal Velvet card stock. I used the new Splits: Hello there and Boho Rounds for this card. I stamped the Boho Rounds in the background with Raspberry Fizz and Hawaiian Shores. 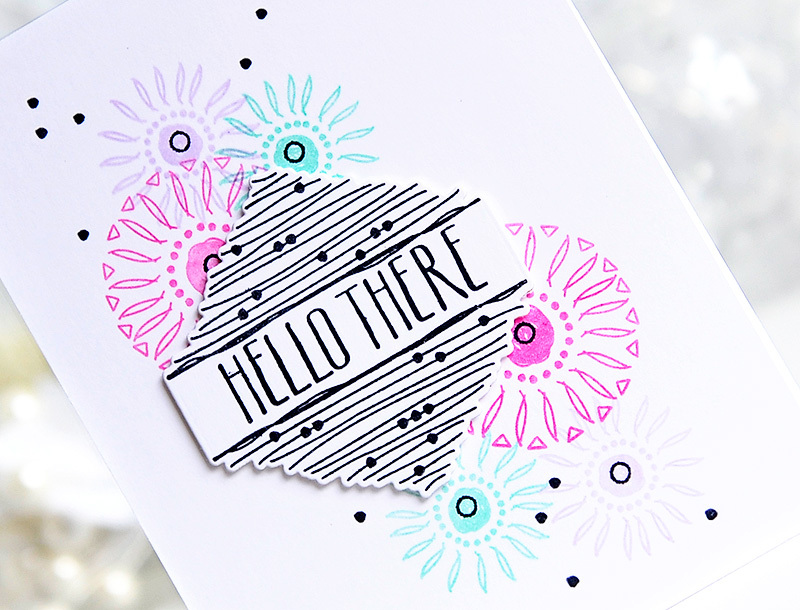 I stamped the Hello There in True Black, cut it out with the matching die, and adhered it with foam tape. This one was created with the adorable new Dress Up Dolls: Birthday along with the cute little puppy from Dress Up Dolls: Puppy Love. I added a bit of color to the images with Comic markers, but I wanted them to be light, so I left lots of highlights. The background was done by blending distress ink and splattering some drops of water. I added a few white sequins too. This is one of my favorites again. 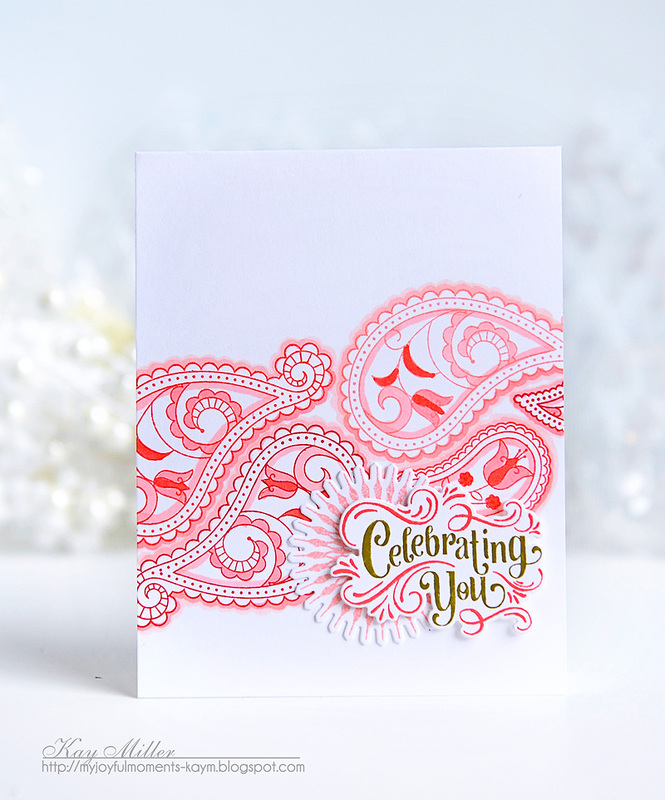 I am trying to make my cards a little flatter these days, so they mail easier, so I stamped the paisley designs from What The Doodle: Paisley right onto my card base with Pure Poppy, Berry Sorbet and Pale Peony. I then colored in some of the areas with matching Copic markers. The sentiment is from Fancy Pants Sentiments and the round bursty thing behind it is from Snowflake Flurries. This one I did similar to the one above, stamping everything straight onto my card base. I stamped all of the medallions from Boho Rounds, then added lots of fun details with my Copic markers. For the sentiment, I cut the parentheses off of the edges and used just the sentiment. tonight, January 15th, at 10:00 EST! For more inspiration today visit the rest of the Papertrey Ink Design team! Fantastic work, Kay! Your cards are so bright and colorful that one can't help but feel happy after seeing what you've created. That first card is pure Kay! I can look at it in line up of similar cards and know that is one you created. The one with the paisleys...bestill my heart. That's such a beauty. I have a thing for paisleys for some reason. The Boho Rounds also speak to me. I like the reptition in the rounds. Gorgeous work, my friend!! Thanks so much for sharing. :) Big hugs! 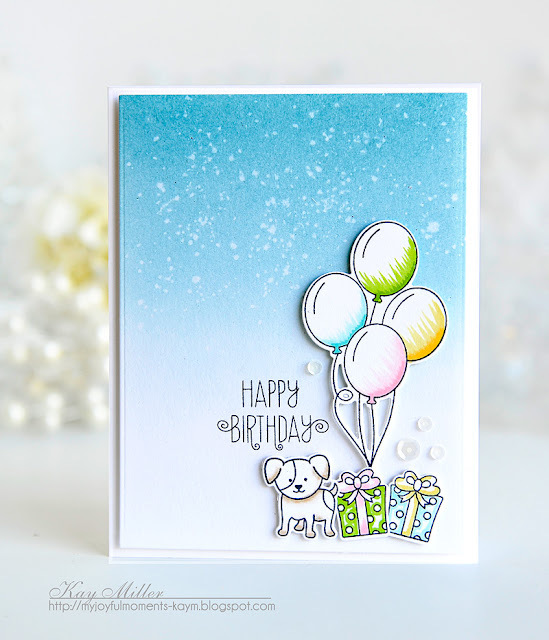 Gorgeous collection of cards in lovely Kay style...so very pretty!!! 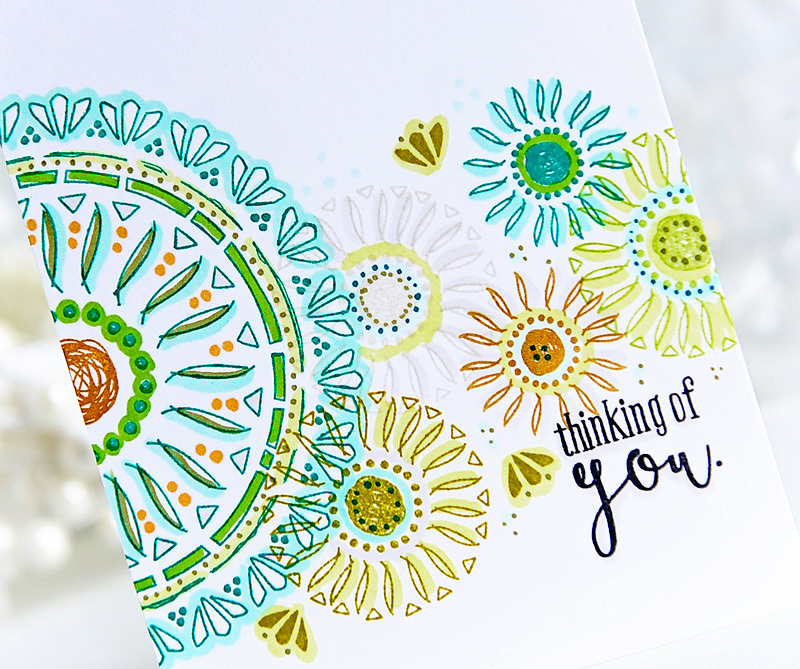 Your color combos are so cheerful and fresh! I can't stop looking at that medallion! So many beautiful cards, I love that medallion! These are all amazing! Beautiful combinations of colors and designs that are so pretty! Oh my goodnesses, Kay. Your cards today are just amazing!!!! I love each and every one! The details you added to each one just them over the top. THANK YOU for such great inspiration! All of them so pretty and happy to look at ,Kay Love that new medallion die and pretty colors you used in it! Hi Kay! Happy New Year! (Just a little late, but still sincere). I tried posting a few months ago on your blog, but long story short, we have a new computer. Last summer I tried stamping for the first time and can't thank you and all the girls at Papertrey enough. I've learned so much and have had a ton of fun. Thanks for all your hard work Kay and I mean that. Btw, I fell in love with your paisley design, big time. Your "round bursty thing" was incredibly original, I love it!! It taught me that there's more than one way to use a flake. Lol. Best wishes for a great year! I love the mandala style!!!! So many fun techniques and so much inspiration here Kay! Beautiful cards! Kay, your Boho Rounds are so beautiful. Now I think I need them after all. 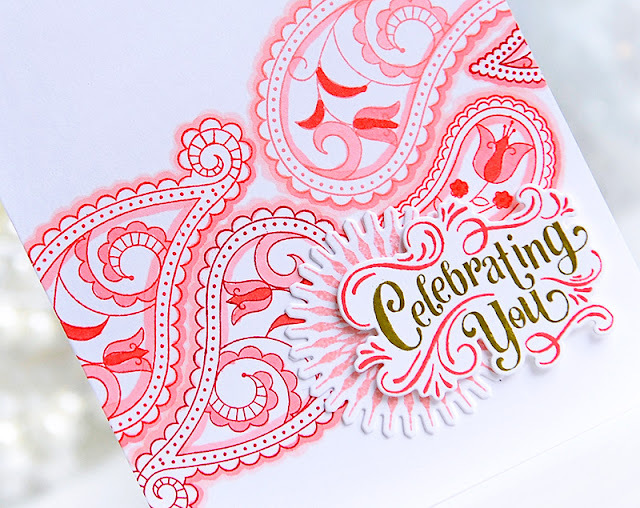 Your paisley card fits together just like a puzzle, and it's gorgeous. Your birthday card is so sweet. Always enjoy visiting here because your projects always make me happy! Wonderful cards Kay!! I especially love the Boho Rounds design and colors!! Oh gosh Kay! I want them all! You have a beautiful eye for color and design! Those pink paisleys sure caught my eye! How pretty! Have a FUNN day. It is such a joy to visit your blog, Kay! What a gorgeous collection of cards...WOW! 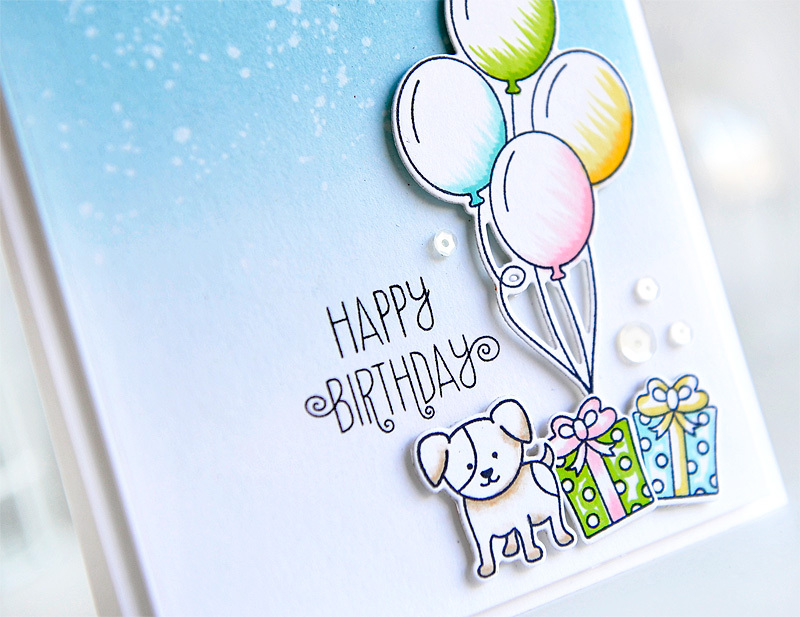 I love them all, but my fave is the pup and balloons...your sky background is so striking, and I love how you colored the balloons!